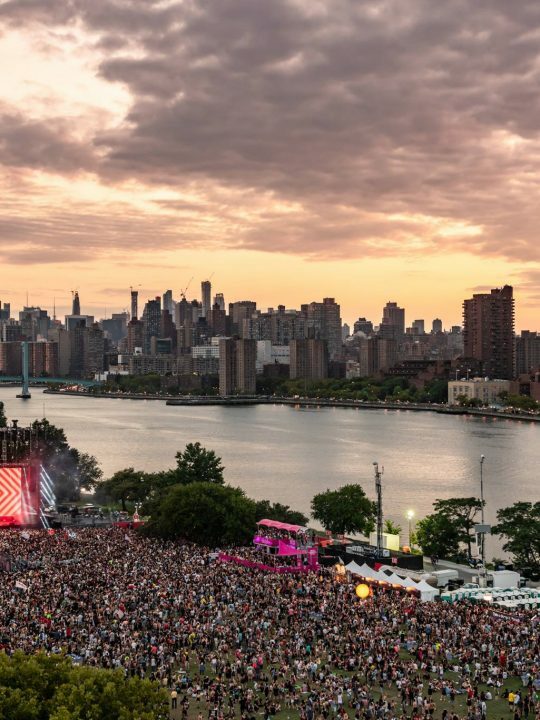 Years ago if someone had said that the ultimate festival destinations of the future would consist of a single stage, curated to one sound, and capped at about 3,000 people, no one would have believed them. Back when the EDM bubble was at its peak, the larger than life festivals reigned supreme as some of the most sought after festivals in the game. EDC, Ultra, the Wonderland raves, etc. – all were competing to see who could have the most diverse lineup, the most overproduced stages, and the largest amount of attendees. But what is happening now is a shift to something much more intimate. One stage festivals have emerged as not only one of the more popular options, but also one of the most successful. With an attendee cap of around 3,000, one stage festivals do not require a large venue’s worth of space, and often sell out quickly. This makes logistics for the festival much easier to plan, and increases overall flow of the festival itself. Everything from traffic entering the festival, to attendees parking and camping, to packing up and leaving – it all becomes one simple flow. 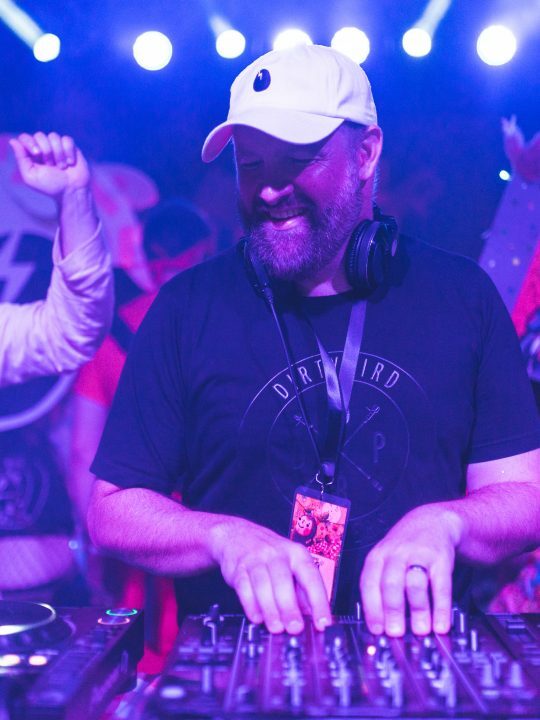 In my personal experience, the both of the one stage festivals I have attended (Dirtybird Campout and Desert Hearts) have fit this mold. Getting in was more than a breeze – almost no wait at the gate, friendly staff greeting you as you drive in with smiles and small gifts, and everyone knowing exactly where they’re supposed to go. It’s a nice change from the stress of pre-festival traffic and waiting in long lines to finally be parked in spot. Small venue space also means a walk from your campsite to the stage takes less than 5 minutes. In a world where festivals only seem to be getting bigger, it’s the small joys like quick walks to and from the stage that make all the difference. This also makes seeing the entire festival a breeze. Often times, there is so much happening at once at the larger festivals that it’s impossible to see and do everything you want to. One stage festivals and their size make it easier than ever to see the entire festival while not missing a minute of the action. 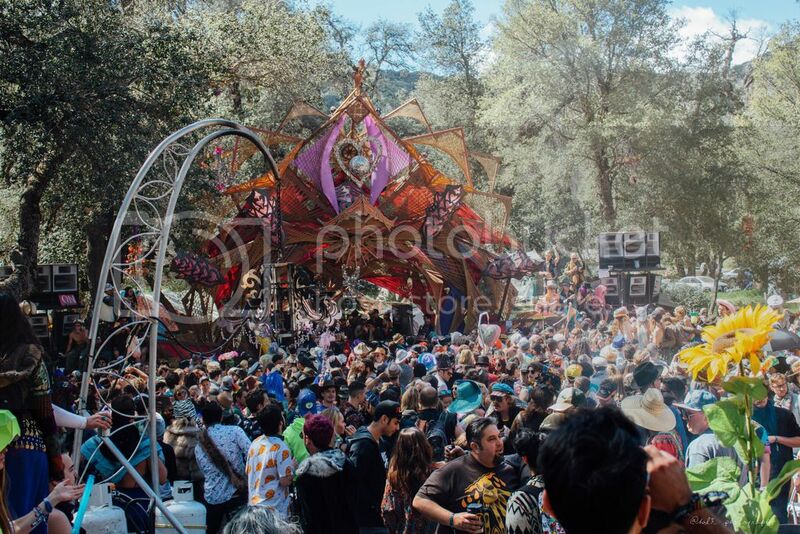 The notably smaller size of these festivals also creates a much more intimate atmosphere. 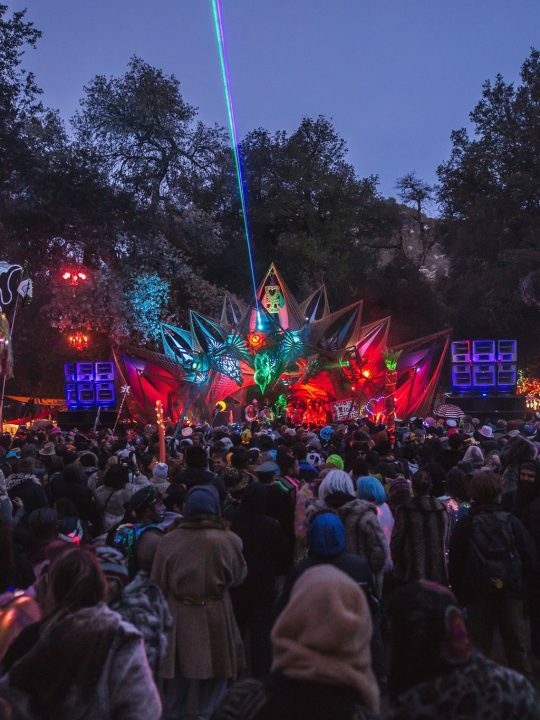 One stage festivals are most known for their intimate vibes, relaxed environment, and familial bonds to your favorite DJs and fellow attendees. 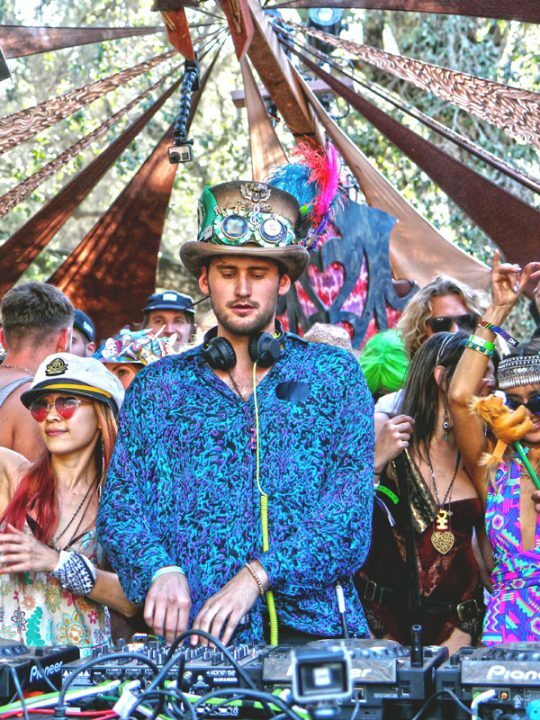 Festivals like this attract a certain breed of people – they attract the people who come for the love, vibes, and music. Since the lineup is curated to a very specific taste, it’s safe to assume that everyone in attendance has similar, if not identical, music taste as you. 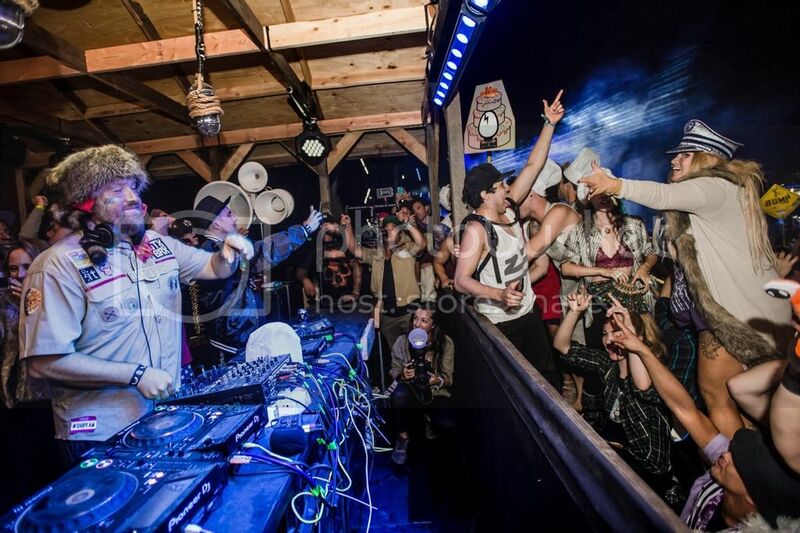 Another aspect is the intimacy, between you, the DJs, the other festival goers, and the music. One stage means everyone is vibing on the same frequency, no renegade stages to distract from the one sole source of music. 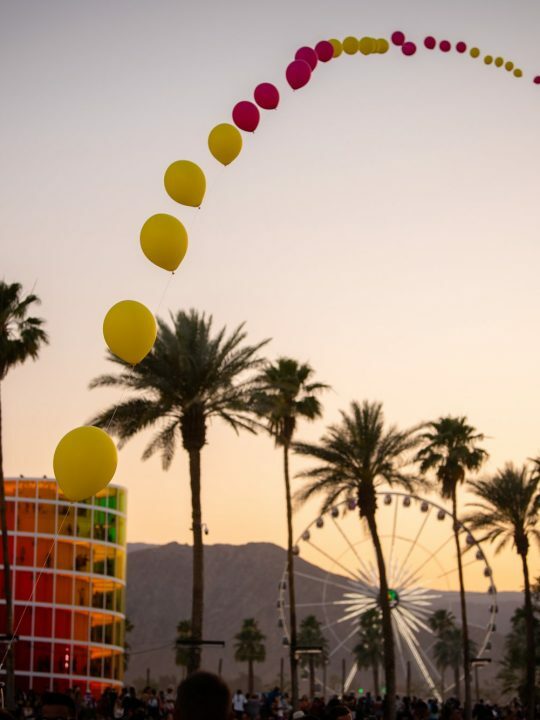 At festivals like Desert Hearts, the music starts at 10 AM Friday and goes nonstop until Monday night. Every waking (or sleeping) moment is filled with a constant flow of great music, making you question your sanity as you divvy up when you plan on sleeping each night. To me, the number one reason why I think one stage festivals are flourishing is because of the familial bond that is felt through every person. Going back to its small size, it’s not hard to run into your friends, or to keep running into the same strangers-turned-friends you’ve been seeing all weekend. You feel compelled to share necessities like food and water (and even not-so-necessities like alcohol, etc.) with everyone around you, and they feel compelled to do the same. Everyone around you is friendly enough to spark up a random conversation with, and after about 5 minutes of talking, you begin to form a bond that could go well beyond the bounds of the festival. 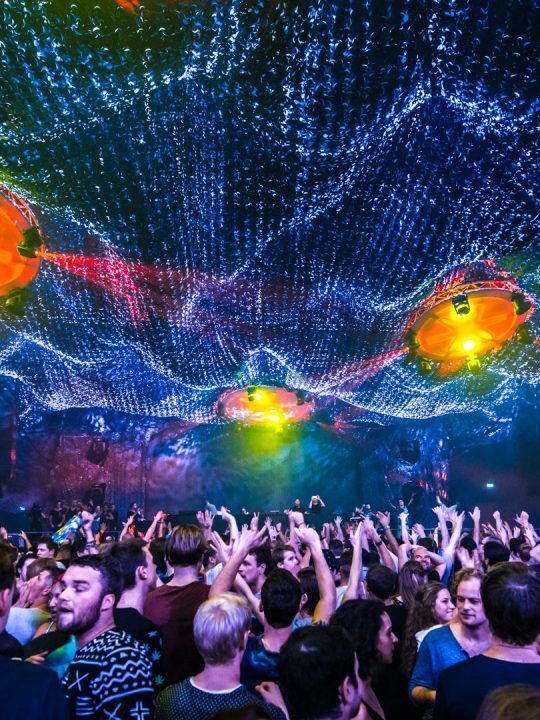 Every festival has its perks, its ups and downs – no one festival is perfect. 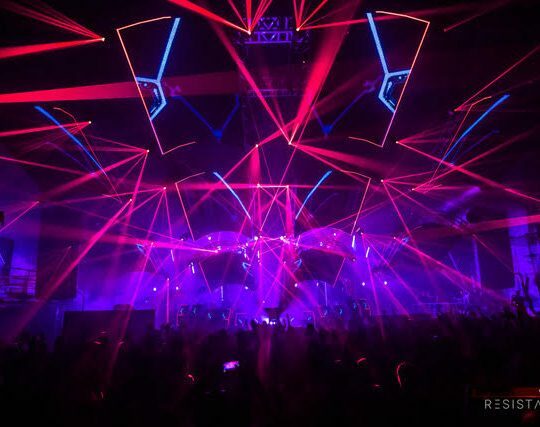 There are many huge festivals out there that boast some of the most insane production, highest attendance counts, and biggest names in dance music on their lineups. 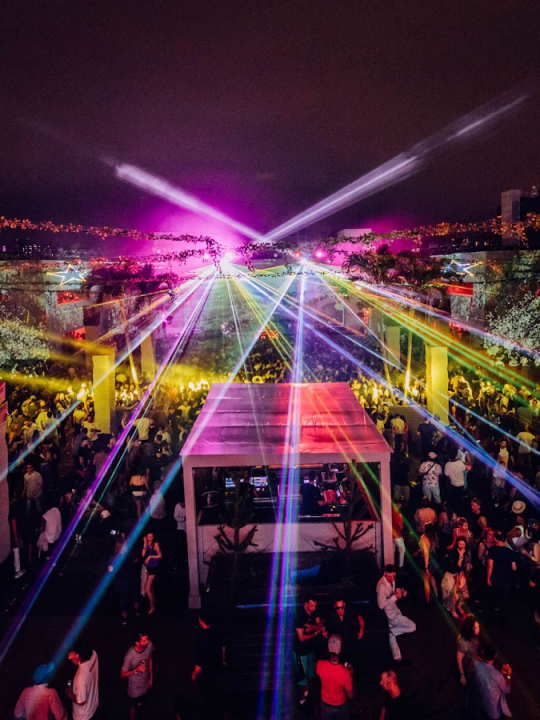 But for those who crave something a little bit more, for those who want to delve into a deeper and more intimate realm of the electronic music community – look no further than some of the one stage, one vibe festivals that are continuing bloom in popularity.